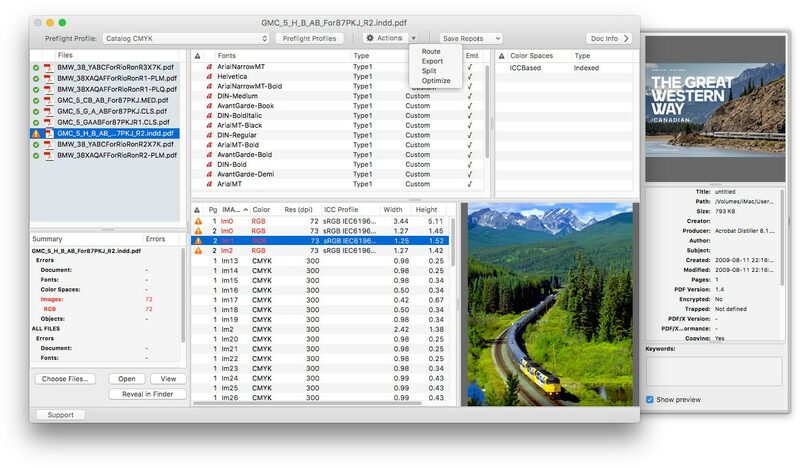 [prMac.com] Toronto (ON), Canada - Zevrix Solutions today announces PDF Checkpoint 1.8.8, a compatibility update to company's PDF preflight and conversion automation tool. Remarkably fast, PDF Checkpoint automatically preflights, exports as images, splits and optimizes multiple Adobe PDF files. PDF Checkpoint is an ideal solution for users who need a fast, affordable and easy to use app to check PDF files for errors and convert them to the desired format and color space. "It's a great idea to enable color profile conversion in PDF files so easily," says Dr. Wolfgang Lorenz from Munich, Germany. "PDF Checkpoint saves me a lot of time when submitting ads for large magazines."